Dr Muscat waves from the window of the office of the Prime Minister. 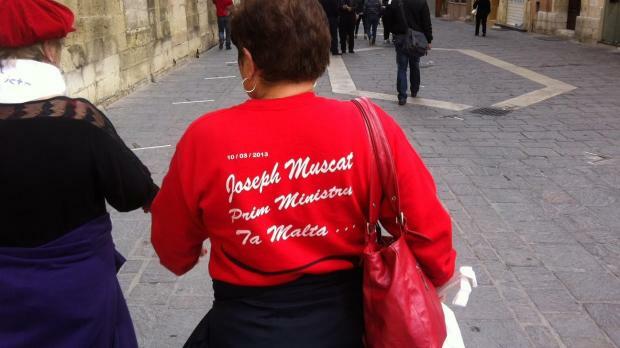 Joseph Muscat was sworn in as Prime Minister at the Palace this morning as a huge crowd followed proceedings on big screens and roared its approval outside. 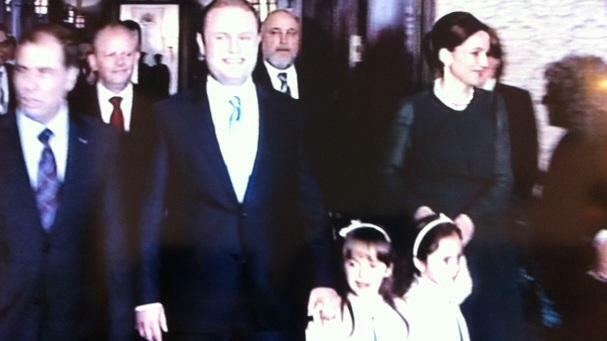 Dr Muscat was sworn-in by the President in the presence of the his wife and their twin daughters, his parents and his in-laws. The crowd burst into cheers again as he appeared on the Palace balcony with his family, the President, and the deputy leaders of the PL. He then proceeded to the Auberge de Castille and waved from the window of the office of the prime minister, acknowledging the cheers of several thousand people. In comments to the press after his swearing in, the Prime Minister said the people through their vote had demanded a change not only in government, but also in how politics was done. He would therefore work with all those who wished to work with the new government, even if those involved did not agree with the Labour Party. As for the formation of the Cabinet, he said this could happen tomorrow or on Wednesday, when vote-counting in Naxxar was completed. He said he had some ideas and would not await the casual elections. However, he said, he wished to see a team spirit in the running of the country, even involving the Opposition. One of the immediate priorities, he said, would be setting the energy plan in action. Parliament would be convened as early as possible after Easter, he said, with the first business being the Budget. 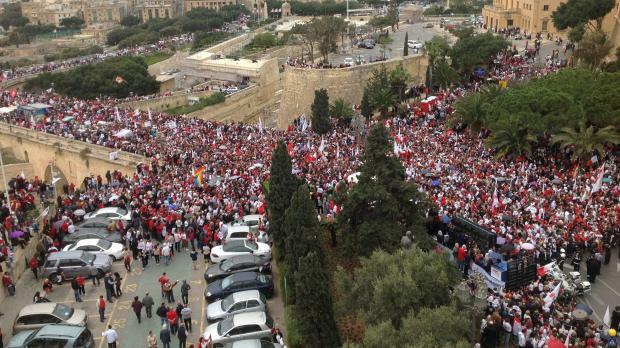 Earlier, the crowd burst into cheers and a cacophony of horns as Dr Muscat was driven down Republic Street towards the Palace. Dr Muscat arrived shortly before 11 a.m. in his personal Alfa Romeo car escorted by two police outriders, with a police car behind him. The car was driven slowly down the street as supporters waved thousands of flags. Half-way down, Dr Muscat and his wife Michelle got out of their car to walk the remainder of the way holding their young twins dressed in blue and white dresses. Many people had been waiting behind the police barriers for hours. 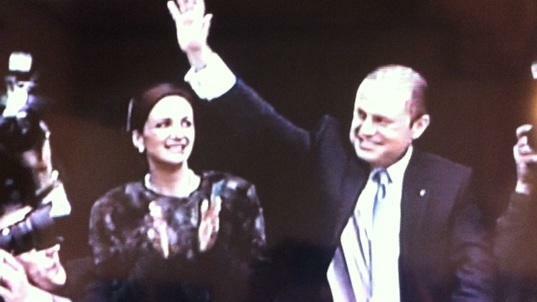 After the swearing in Dr Muscat was driven up Republic Street, St John Street and Merchants Street to Castille. He had been due to walk to his new office but rain forced a change of plan. A small flag was flown from the front of the car as the Prime Minister waved to the people who lined the streets. The crowd, sheltering under umbrellas, let out another huge cheer as he appeared at the window of the Office of the Prime Minister, accompanied first by his wife and then by the PL deputy leaders.